Leftover roast pork (optimally home grown free range and happy, about which another post when I find the time), diced or thinly sliced. A few onions, a couple of potatoes, some mushrooms, all thinly sliced. Capsicum (red or green or both), diced. BBQ sauce (plus possibly tomato paste – see how you go). Pepper (bonus points for Tasmanian bush pepper). Cheese, chilli sauce, tortillas (optional). Add onions and garlic, fry for a while. Add butter, potatoes, mushrooms, BBQ sauce, salt, pepper, oregano, fry some more. Cover, lower heat, add water and/or tomato paste if it seems necessary. Go away for at least half an hour. Check your email. Read Twitter. Do some actual useful work. But make sure you’re within smelling distance of the kitchen, just in case. Wait a bit more, depending on how well done you like your capsicum. Serve, either in a bowl or wrapped in a tortilla, with or without cheese and chilli sauce according to taste. A Discordian shall Partake of No Hot Dog Buns, for Such was the Solace of Our Goddess when She was Confronted with The Original Snub. 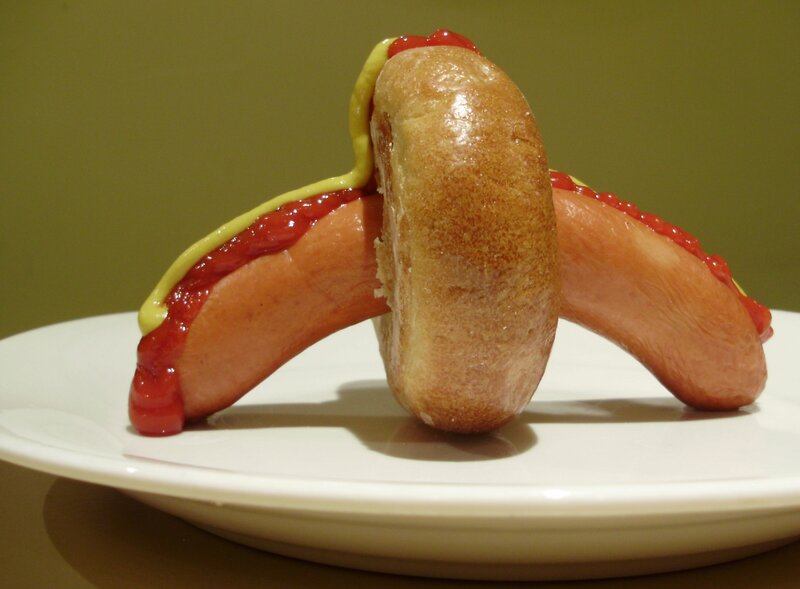 This can be problematic for lovers of hot dogs, but at long last I believe I have found the perfect solution: all you need do is put the frankfurt through a bagel. As you can clearly see it provides all the convenience of – and even more tasty goodness than – a regular hot dog bun, while simultaneously keeping to the letter of the sacred text.